Cold Feet has been recommissioned for a new series after its successful recent return to ITV. Production on a new eight-part series will begin in Manchester in March 2017, with the show's original creator Mike Bullen again at the helm. Cold Feet, which originally aired for five series between 1997 and 2003, returned to the screens in September. It has been ITV’s most successful drama launch of the year with a consolidated opening episode ratings of 8.4 million and a 33% share of the audience. The first five episodes of the series have averaged 7m and a 28% share, and the penultimate episode of the current series airs tonight. 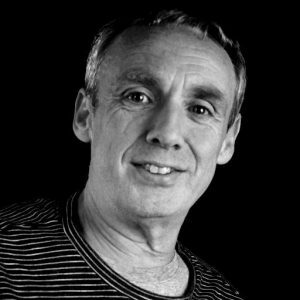 ITV’s director of television, Kevin Lygo, said: "It's with some trepidation that you return to much loved shows, but Mike Bullen's contemporary take on the five friends and their lives has been a wonderful thing, with every bit of the warmth, humour, emotion and chemistry that makes Cold Feet such a special, and hugely enjoyable drama. The new series will again star James Nesbitt, Hermione Norris, Robert Bathurst, John Thomson and Fay Ripley, and will be made by Big Talk Productions. Creator Bullen said: "We all said we only wanted to bring Cold Feet back if we could maintain the standard previously set. I've been blown away by the show's reception among viewers and critics alike. It has exceeded even my hopes. "This recommission confirms that we didn't screw it up. I shall take a moment to bask in the warm glow... Okay, done that. Now the hard graft resumes." Executive Producer and CEO of Big Talk, Kenton Allen, added: “We have been incredibly humbled by the astonishing reaction from viewers and critics alike. ITV’s senior drama commissioner Victoria Fea will oversee production of the second series from the network’s perspective.